Following on from my craftsmanship theme in my last post, I wanted to share some beautiful jewellery handmade by my cousin Sarah. 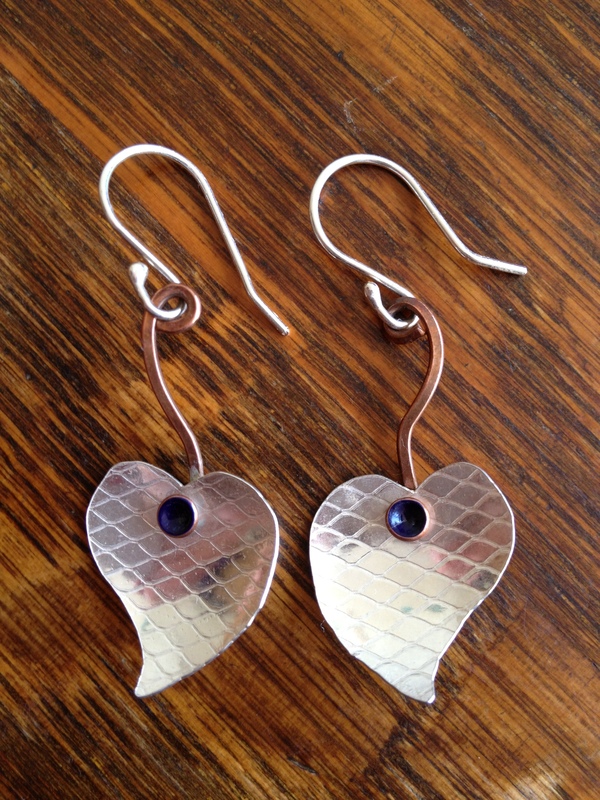 Sarah has been making jewellery from silver, copper and resin as a hobby for a few years but following a recent redundancy at work, she decided she’d go pro and start making and selling as a business. Hey presto, Impact, was born! She ingeniously combines the use of mixed materials and takes inspiration from organic, natural shapes creating quirky individual pieces. She attempts to ‘work with’ the metal as opposed to ‘work the metal into’ a fluid design which is why no two pieces are ever the same. 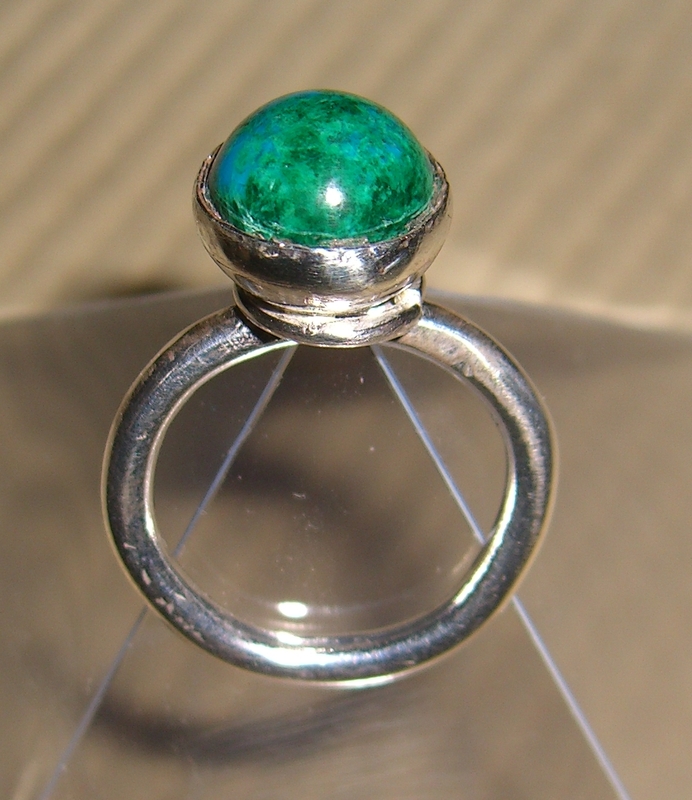 Sterling silver ring with resin (cold enamel) centre. I bought the pretty heart shaped earrings from her last week for £25 and have barely taken them off since! Sterling silver, copper and resin earrings. 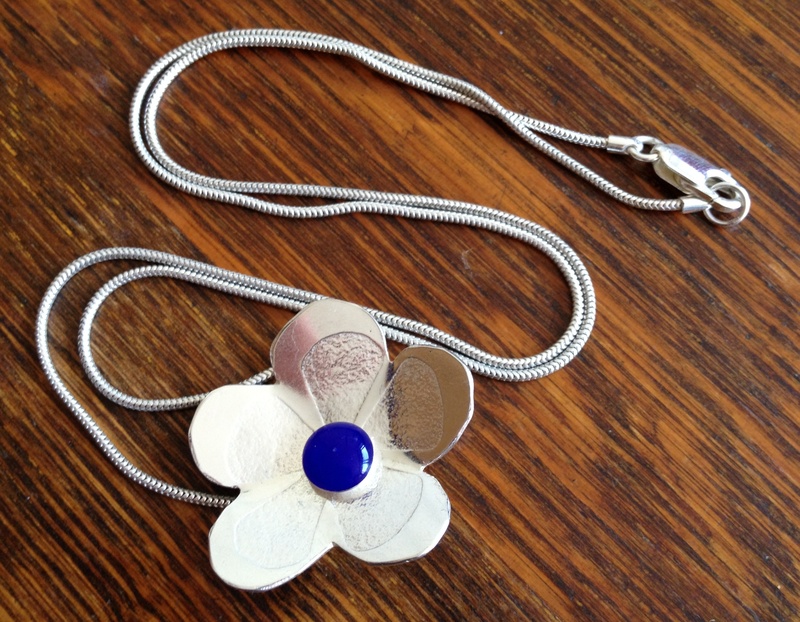 She made the below beautiful daisy shaped necklace for my Mum. I will be placing an order for one of these except I am going to ask her to use a mustard yellow resin centre rather than blue. Sterling silver daisy necklace with a resin centre. 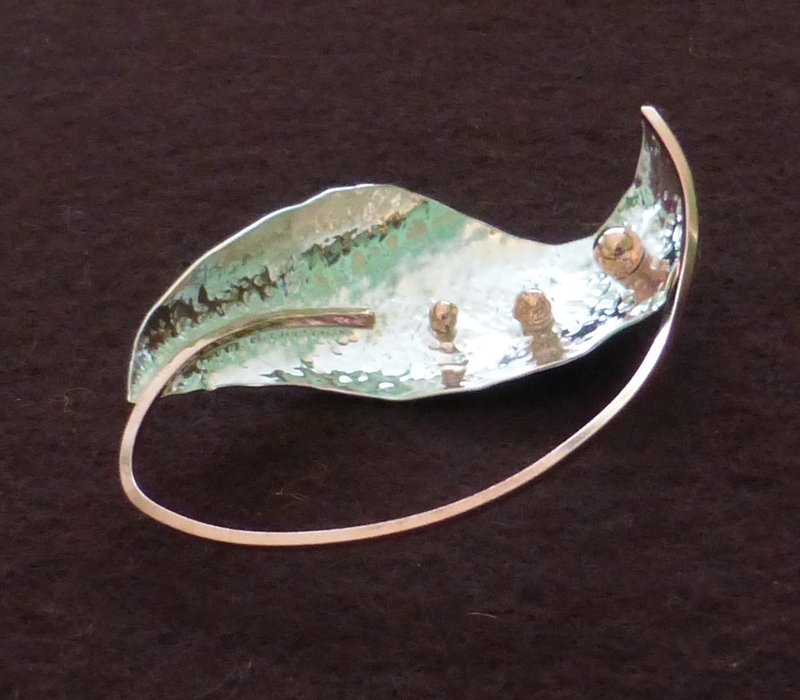 I adore the below brooch made from silver and copper. 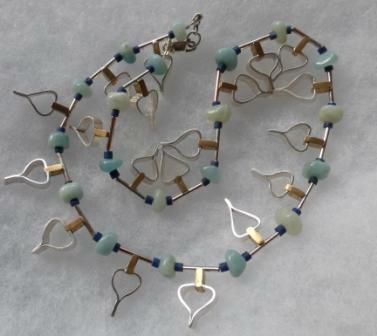 Sterling silver & enamel heart shaped necklace. Would make a beautiful bracelet too. Prices start at £15 for a simple bracelet increasing in price for more complicated pieces. It’s the perfect time to think about Christmas presents so I’d recommend getting in there early. Sarah doesn’t have a website or blog yet as it’s early days but if you’d like to find out more about her work, existing pieces she has for sale or upcoming events she’ll selling at (usually in the South East), you can email her harris.sarah@tesco.net.